I’ll be honest: I only listened to this album because I thought it was a parody of Lil B’s God’s Father, considering the similarity between the artworks. Alternate/Endings falls within the genre of breakbeat and big beat: hip-hop beats infused with ambient sound, reverbed to death. Because both breakbeat and big beat are creations of the late 80s and 90s, it’s interesting to see Lee Bannon revisit these genres in 2014. Bannon is a versatile producer. His hip hop origins might be lost among the listeners after the opening tracks, “Resorectah” and “NW/WB.” The arrangements in these two tracks are of the in-your-face sort one second, distant and atmospheric the next. The juxtaposition works in Bannon’s favor, as it keeps the music sonically interesting, a must in hour-long instrumental albums. 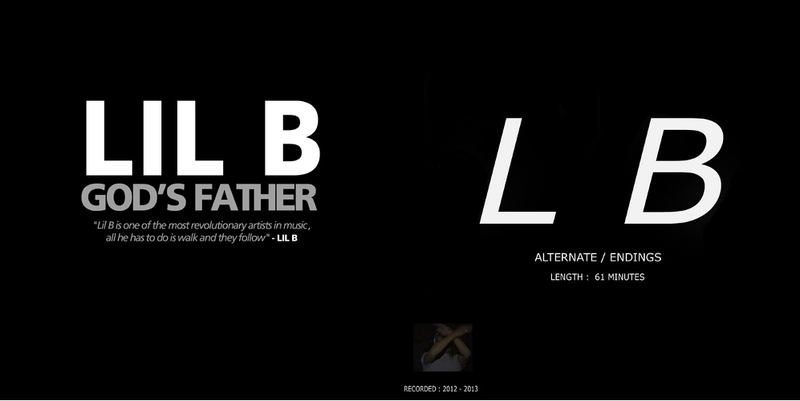 Lee Bannon applied that formula throughout the album, and is fully aware of the duality in Alternate/Endings. The LP itself has two titles, along with “NW/WB,” “Prime/Decent,” “Bent/Sequence,” “Perfect/Division,” “Cold/Melt,” “Readly/Available,” and “Eternal/Attack.” Unfortunately, Alternate/Endings proves to be hit-or-miss. While “Resorectah” and “NW/WB” are bangers, many other tracks fell flat. There aren’t any duds on the album, but some felt dragging; “Shoot Out the Stars and Win” and “Bent/Sequence” outlasted eternities. “Readly/Available” was even boring. Many tracks featured infighting between breakbeat’s industrial and ambient sides, which made much of the album a conflicting listen.